ATHENS, Ga. – The Quality Deer Management Association‘s 11th annual Whitetail Report, released Wednesday, Jan. 16, indicated that the national buck harvest was on the rise while antlerless harvest fell, tipping the balance in favor of bucks for the first time in nearly two decades. The update on the status of white-tailed deer included deer harvest trends through the 2017-18 season, the most recent hunting season with complete deer harvest data available from most whitetail states and Canadian provinces. Looking at the age structure of the buck harvest, yearlings (1½ years old) remained at record-low harvest levels around 35 percent while harvest of 3½-year-old and older bucks remained high at 34 percent. 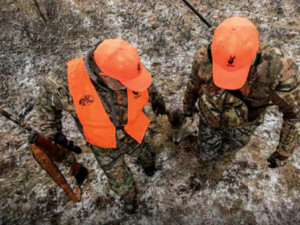 Sixty-six percent of deer taken in the 2017-18 season were killed with a firearm compared to 23 percent with a bow and 10 percent with a muzzleloader. Complete state-by-state estimates of total buck harvest, buck age structure, and many other harvest parameters are available in the full Whitetail Report, which also includes a look at numerous other critical issues for whitetails and deer hunters. To download the report for free, click here.